Whether scholars or anarchists, protesters are availing themselves of new mediums and techniques to voice their dissent. The days of screaming activists marching with signs in hand to voice their displeasure at a particular politician are changing rapidly – just ask Vic Toews. Canada's public safety minister was the latest in a string of public-policy lightning rods to feel the wrath of Anonymous, a loose coalition of web-based activists who went after Toews for his overly vociferous promoting of the government's online surveillance bill. Anonymous is one of the most prolific and infamous (depending on your point of view) groups operating in the "hacktivist" world. Yet it is far from alone. All over the globe, many people are availing themselves of new mediums and techniques to voice their dissent. From the "going dark" campaign in January, in which websites like Wikipedia shut down for a day to protest against a proposed U.S. web-piracy law, to the group of international academics who fought successfully for more publicly accessible research, the face of online protest is changing. 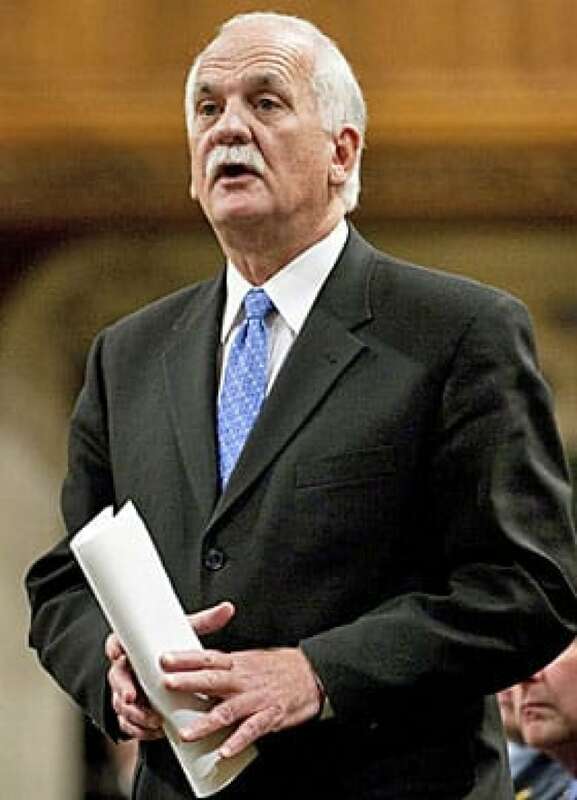 Public Safety Minister Vic Toews, the latest target of the online 'hacktivist' group Anonymous, over the proposed online surveillance bill. But Anonymous, which the Canadian government somehow hopes to haul before a parliamentary committee, is clearly at the cutting edge. Some say the group is like a digital version of Robin Hood — except the ubiquitous Guy Fawkes masks that mark most of its postings have replaced the tights. The other difference is that the group is nebulous, and doesn't appear to have a hierarchy or leadership. Its "unofficial spokesperson," Barrett Brown, denounces any real title within the loose collective — though he sometimes refers to Anonymous as "we." He also speaks on their behalf frequently. 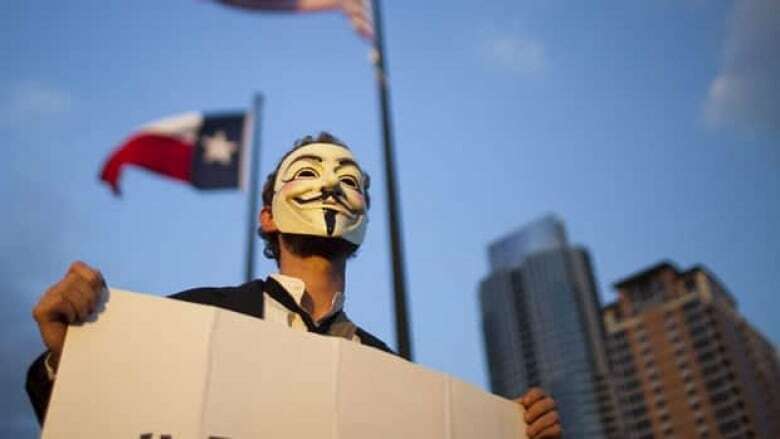 "Anonymous started out as a nihilist kind of organization," Brown told CBC News from his home in Texas. "It's a combination of smart alecks — who have an earnest side deep down — but also some of the more commendable activists from the old days. "People who are doing a little less 'sloganeering' and have been scrambling for a way to make legitimate changes to a dangerous system." As Brown sees it, political activism over much of the last 20 years has been losing ground with people that he feels should have been more involved. But that's now changing because of the internet. "The 'full-time professional activists from the '80s and '90s didn't really have a strategy," Brown says, adding, "I don't think there's been anything effective or worth taking part in since the late '60s." But today, because of the widespread reach of the internet and social media, barriers are being brought down to allow a different kind of person to voice their dissent on a broad scale. As Brown sees it, "people who would have been on the sidelines a few years ago are now more radicalized." Not everyone sees Anonymous quite that way. Graeme Hirst, a professor of computational linguistics at the University of Toronto, says that while Anonymous does share some properties of older protest movements, sometimes its motives can be called into question. "It's a kind of civil disobedience, so we can immediately make analogies to the Civil Rights movement of the '60s," Hirst said in an interview. "On the other hand, it's not entirely clear that Anonymous is as altruistically motivated as those protests were." 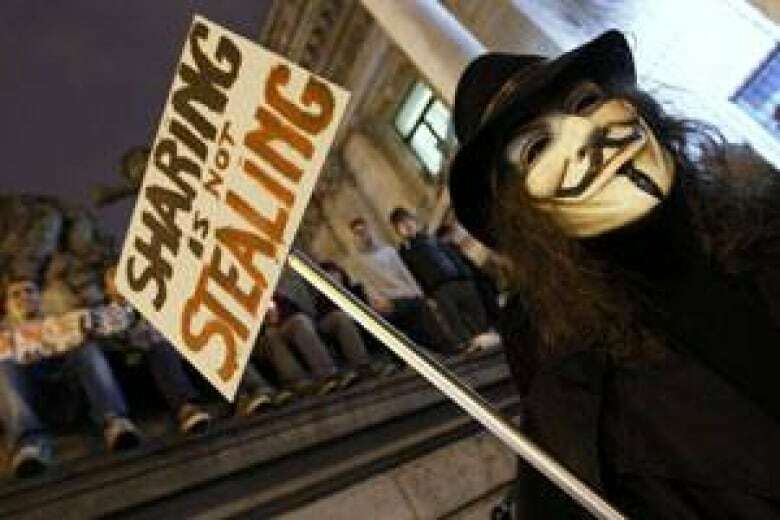 Hirst says there's often a self-serving element at play in some of the Anonymous operations and that these protests can be undermined by the group's stance on piracy as a legitimate enterprise. "Nonetheless, the political opinion underlying it is legitimate," Hirst says. There are many people in the real world who think intellectual property laws are out of control. "In some ways, it's a shame in that the legitimate political message can get swamped by the other things." Hirst points out that Anonymous can be anyone and anyone can be Anonymous. "It's a bit like al-Qaeda," he said, tongue firmly in cheek. "Now, they aren't really like al-Qaeda at all except in that anybody that shares their beliefs is allowed to, in some sense, adopt the name and be part of the movement." That intrinsic anonymity can lead to the abdication of responsibility, Hirst says. "But on the other hand, anonymity is often justified to avoid unjust retribution." While Anonymous's hacking and denial of service attacks can be said to be steeped in a kind of aggression, other forms of online protest have been less contentious — though still effective. In January, websites like Wikipedia, Reddit and, to a lesser extent, Google, among others, "went dark" to protest the Stop Online Piracy Act (SOPA) in the U.S. Many blacked out their home pages and withheld services for most of a day, while proclaiming the dangers of an act that, they argued, threatened online collaboration and invention. Hirst viewed the January showdown as "the first legitimate online protest" that was really only about the online world and suggested that the key to its success was that it was organized not by individuals but by organizations — and ones with clout. In the face of the campaign, the U.S. Congress shelved SOPA, though there has been speculation it may be revived once the current election year is over. Another apparently successful online campaign was the Cost of Knowledge protest started by an international group of researchers in January, following a blog post by Cambridge University math professor Timothy Gowers. Gowers criticized academic publisher Elsevier for charging what he called exorbitant prices for access to its articles, for using a "ruthless" approach to negotiations with academic libraries and for supporting U.S. legislation called the Research Works Act, which would have restricted open access to publicly funded research. More than 7,400 researchers around the world committed to the campaign — boycotting sending their work to Elsevier and to peer-reviewing its submissions — and the journal publisher eventually withdrew its support from the controversial bill, in no small part because of the protest. Gowers told CBC News the campaign was started to give a "safety in numbers" feeling. "And it really has done that," he said. "A number of people who might have initially felt strange about it, when they saw how many names there were — including people they respected — it became easier." Gowers said the internet's ability to form communities of likeminded individuals was integral to the campaign. "Without the internet we'd all just be in our own departments. We'd have no concept of how many people around the world felt the same way." That is something that Anonymous's Brown agrees with. "The fundamental fact of the 21st century is that any person can now theoretically collaborate with any other person on the planet," he said. That kind of worldwide connection, he adds, is integral to rooting out corruption and exposing it. "Governments count on the fact that the majority of the population doesn't care, doesn't know, and isn't going to resist," Brown says. "If that's what they're relying on, no one is a winner." Is Canada ready for cyberwar?